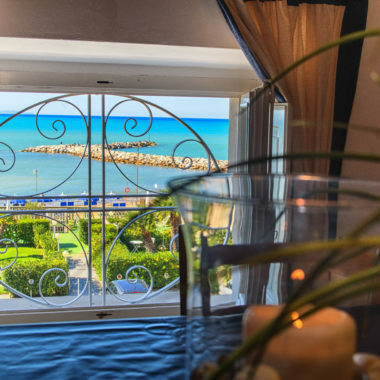 Our eight apartments are all different but with a common theme: the splendor of the coastal village of San Vincenzo. 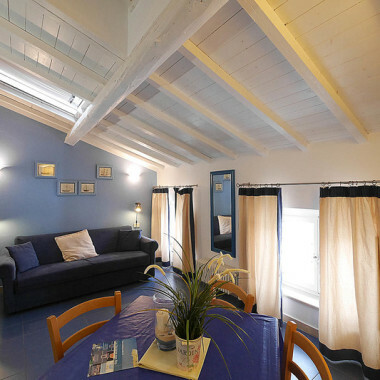 All eight Apartments are tastefully furnished. 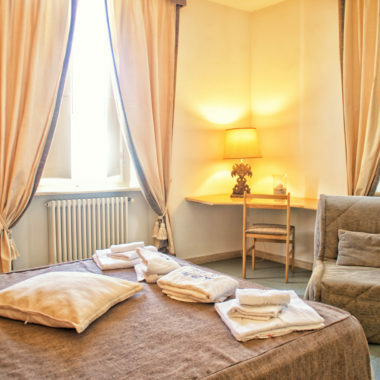 One bedroom apartments are on the ground floor, while two bedroom apartments are on the first floor. On the attic: other two bedroom apartments and one cozy studio. 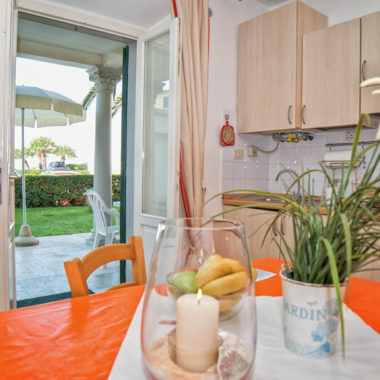 All apartments are equipped with hotel Cable TV with PPV channels (from April to September), air conditioning, independent heating system, garden or terrace equipped with table and chairs (excluding the studio). 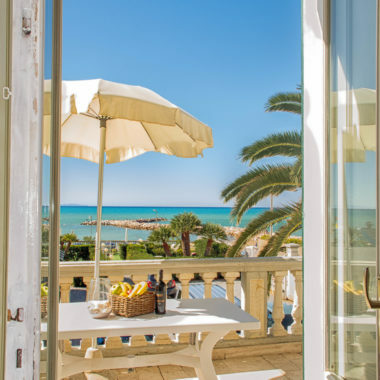 All apartments on the attic are provided with private sundeck terrace from where guests can enjoy an enchanting sea view. 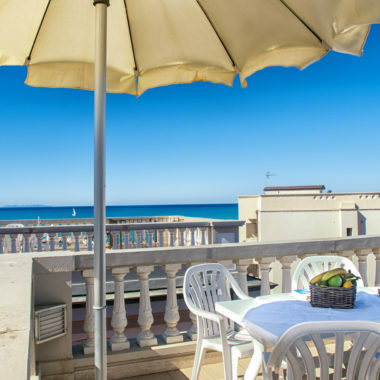 Each apartment has a parking space in our private parking, one umbrella, 2 chairs and 1 sun lounger on the sundeck seafront terrace. Our guests can enjoy a relaxing area, barbecue and use the drying rack facility. 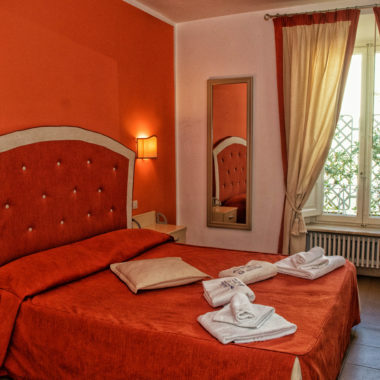 Book your holiday in Tuscany with us! Subscribe to our newsletter to get access to our best offers, discounts on the latest availability and advice on places to visit.